Although we need the sun, research shows that the ultra violet rays it emits affect our health negatively. As such, we have to protect ourselves whenever we are undertaking various outdoor activities. One way of doing this is setting up a rest area under a tree shade. So, what do you do if you need to provide shade but don't have a tree in that area? 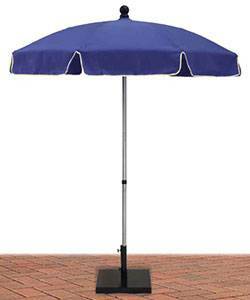 Our durable, attractive commercial outdoor umbrellas do the trick very nicely. 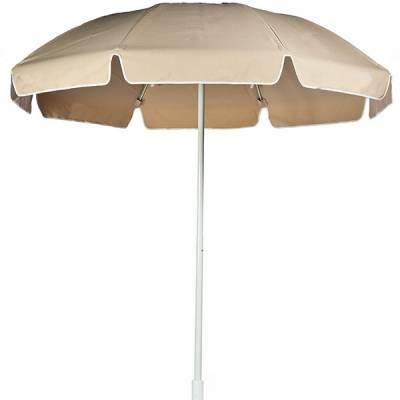 You can go for a shade umbrella if you have a patio or if you would like to create a shaded area for relaxing. Need to create shady areas on the beach? 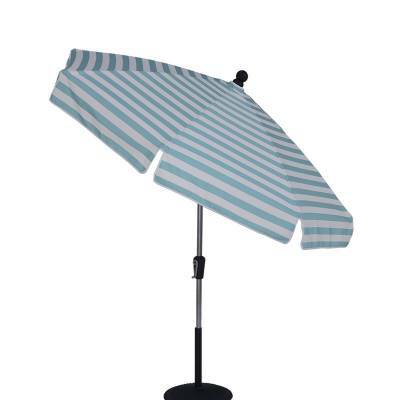 Our beach umbrellas are durable, portable and easy to store. 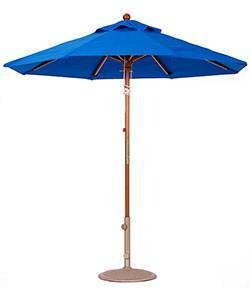 Outdoor patio umbrellas are most common in restaurants, resorts, and sidewalk cafés. Homeowners enjoy their shade by the pool or on the deck. 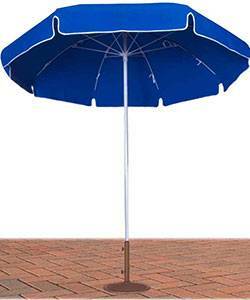 Keep your customers cooler and safer with beautiful, sturdy outdoor umbrellas! When choosing an outdoor umbrella, it’s important to consider the quality of the fabric used, as well as the construction of its base and ribs. The best commercial umbrellas are made with high quality vinyl and acrylic fabrics, so your patio or beach umbrellas are durable and keep their good looks! Our umbrella fabrics come with UV fade inhibitors that make them resistant to fast degradation. This is essential because commercial umbrellas often come in vibrant colors and UV inhibitors help them keep those bright colors as long as possible. 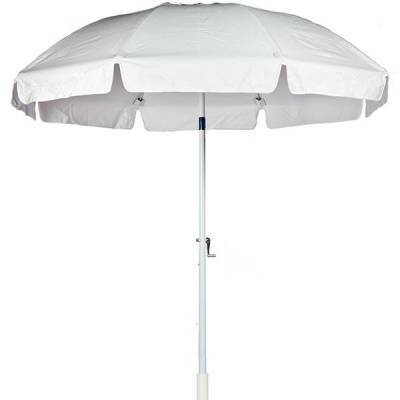 Our commercial umbrella frames are made with aluminum or fiberglass poles and aluminum, fiberglass or steel ribs, and are operated in either a push-up style or crank style to open the umbrella. If you need your umbrella to tilt in order to provide maximum shade all day long, be sure to choose a commercial umbrella style that tilts. 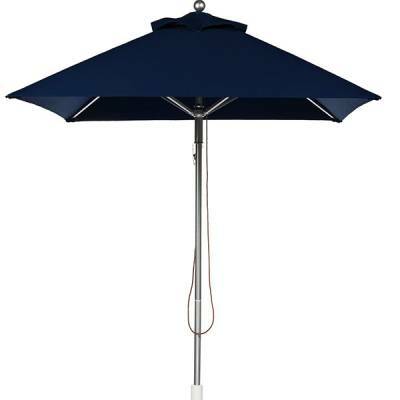 Once you’ve chosen your commercial umbrella style, it’s time to choose the base. 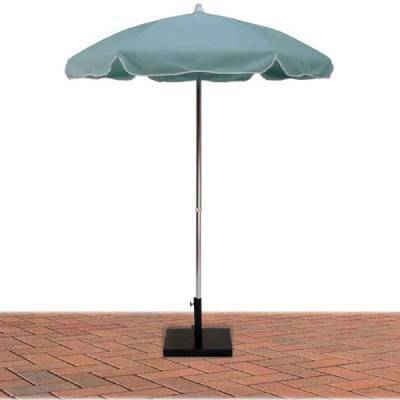 You can opt for a matching commercial umbrella base if you aim to achieve a more luxurious and stylish look. 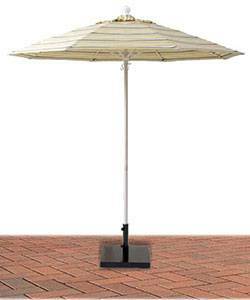 Commercial outdoor umbrellas are a great way to shield yourself and/or your guests or customers from the scorching sun. Even if you have a tree shade, it might prove unreliable since as the sun moves, so does the shade. When the sun is directly above you, the shade will be small, and won’t provide much protection. Structural use: You could use your umbrella for more than just its shade. And if you’re in a warmer part of the country, you can use it all year round! Hang some LED lighting on it for special occasions like Halloween or Christmas, and make it part of the seasonal decor. Enhance the design of your outdoor space: Commercial outdoor umbrellas come in varying styles that are appealing to the eye. You, therefore, could use them to define your taste and preference. 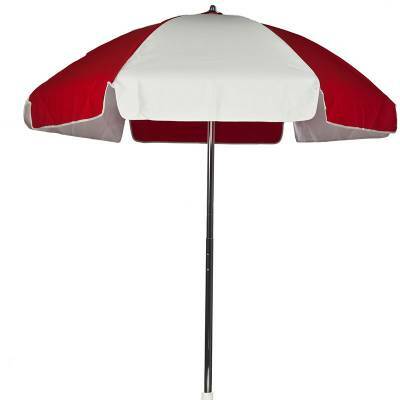 Add to your décor: Outdoor umbrellas are a practical and thoughtful way of adding color to your outdoor space. 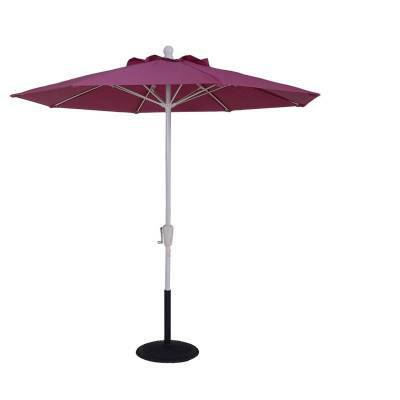 Your business’s deck, swimming pool area, patio, or other outdoor areas will look beautiful if you use stylish outdoor umbrella in colors that complement your branding. Health and safety: Although sunlight is a source of vitamin D, exposure to the sun has been linked to various health problems like skin cancer. Customers will also stay longer and enjoy their experience more if they have a comfortable, shady place to sit! Our commercial outdoor umbrellas come in radiant colors, classic finishes, sturdy aluminum frames, and fiberglass ribs for a sleek look. The covering fabric may also be customized with your company name or logo -- this is especially popular with resorts. Get creative: Use outdoor umbrellas to define your theme using colors, and complement them with an attractive but durable matching base. 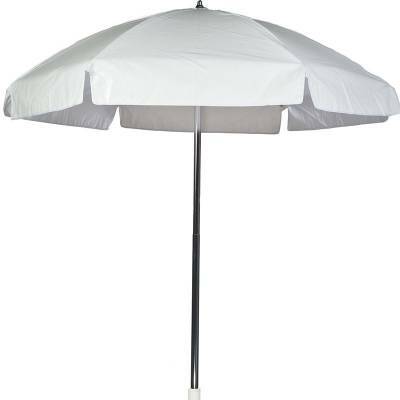 Add stylish outdoor furniture to enhance the design of the umbrellas and add style to your patio. Privacy: With an outdoor umbrella that is cantilevered, you can adjust it for privacy from whichever direction. All season use: Depending on your area’s climate, commercial outdoor umbrellas can be used anytime -- not just summer but also fall, winter and spring. You can protect your customers from the sun during the summer and from other elements as the season changes. This keeps your deck or patio useful throughout the year. 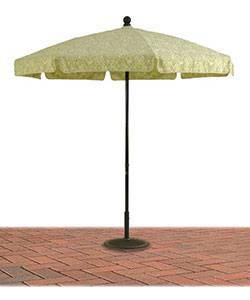 Protect your outdoor furniture: An outdoor umbrella can help extend your furniture’s useful life by protecting it against fading, rotting and other damage. 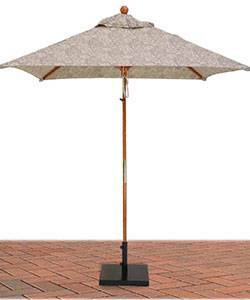 Can your commercial outdoor umbrellas withstand the elements (rain, snow, etc)? Our ultra-durable outdoor umbrellas are made from materials like heavy weight vinyl or marine-grade fabrics. 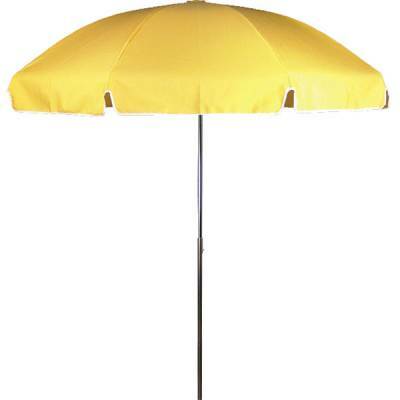 To protect the umbrella colors from fading, the fabric manufacturers we purchase from use UV fade inhibitors. UV-B rays are the most hazardous type of rays emitted by the sun, and commercial outdoor umbrellas are designed to be able to block those rays. Interestingly, this is where the color of the umbrella can make a difference: Research shows that umbrellas that come in darker dyes like blue, red, and black are better able to protect you against UV-B rays. However, black is not usually your best choice in hot environments since it absorbs the sun’s heat and can make your outdoor area hotter. Our commercial outdoor umbrellas are also resistant to leaks. That’s a feature that comes in handy during the rainy season, when an umbrella can allow you or your guests to stay outside during a light drizzle. The frame, ribs, and overall structure of our commercial outdoor umbrellas are also strong to keep the umbrella sturdy and make it resistant to wind and storms. If you’re not sure which type of commercial outdoor umbrella to order, give us a call at 888-516-8873 and we’ll talk you through the best options for your environment and usage!